In late March 1943, Allied and Axis forced prepared for one of the fiercest battles of the World War II African campaign near Mareth, Tunisia. Here, after four months on the run, Rommel’s Africa Corps took one of its last stands. In order to outflank the enemy, the Sherman Rangers Yeomanry Tank Regiment swung through a mountain pass to attack the Axis troops from behind. El Alamein veteran and 18-year-old lap gunner Graham Stevenson and his crew burst into the battlefield through the Tebaga Pass in a Sherman tank. They ran into the German 21st Panzer Division. Karl Friedrich “Charley” Koenig, only newly arrived in Tunisia as a 19-year-old officer candidate, awaited them as a loader in a Panzer IV long-barreled tank of the 5th Panzer Regiment. Both survived the battle. Graham returned to England with the Sherwood Rangers and was severely wounded on his first day of hedgerow fighting in Normandy. Charley was eventually taken a prisoner in Tunisia, and brought to America, Belgium and England as a POW, returning home to Germany in 1947. But neither he nor Graham could forget Africa. In 1991, Charley sought out the Sherwood Rangers. It wasn’t long before they became like brothers. 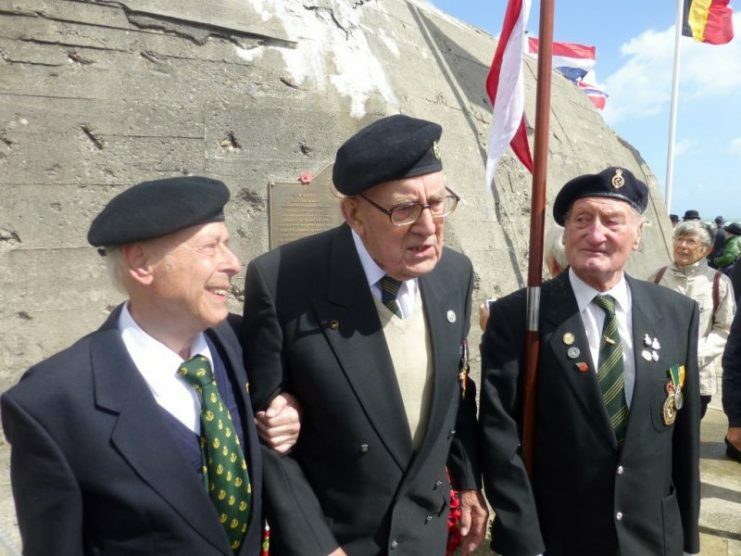 After Charley attended ceremonies for the regiment in Normandy and Holland, he was invited to become a member of the Sherwood Rangers Old Comrades’ Association. 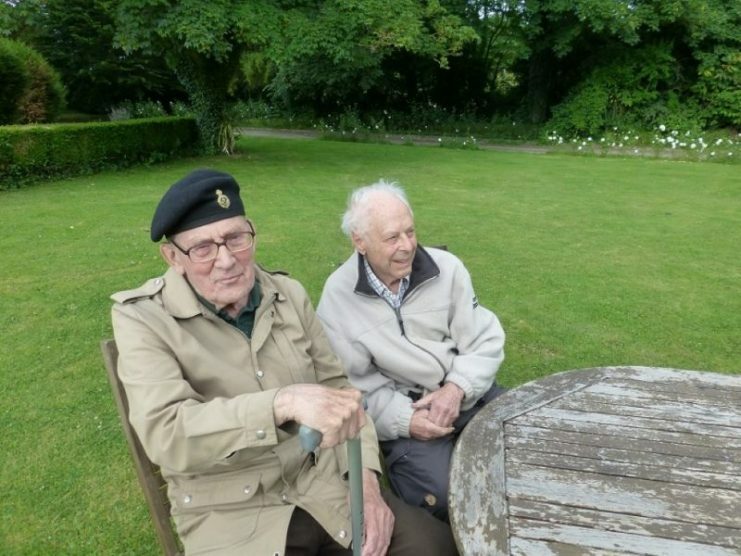 Now Graham and Charley are the only members of the Association left alive who fought in Africa 75 years ago. 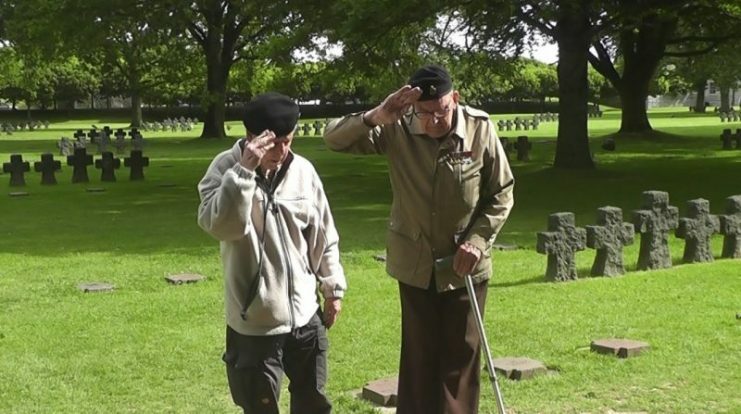 Their friendship, which has transcended the brutality of war to reveal that mutual respect, healing, and reconciliation can exist between former enemies, sends a powerful message to future generations. 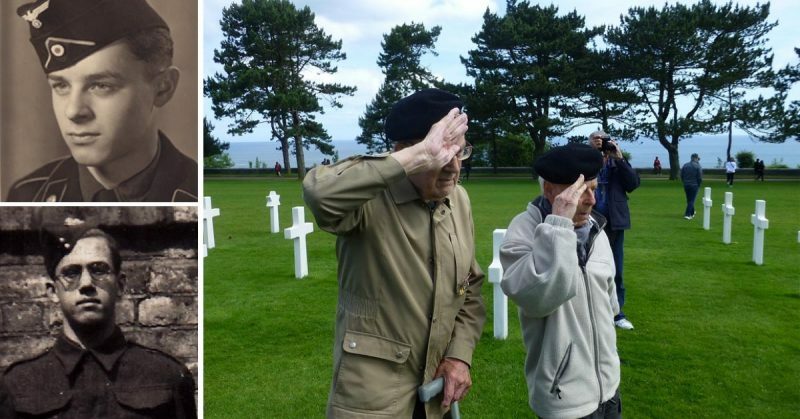 Our mission is to raise $25,000 to film a mini-documentary about this unique friendship for future generations of school children, college students, and the public learning about World War II. Our Indiegogo crowdfunding page launches on March 17, 2018 and can be found Here.